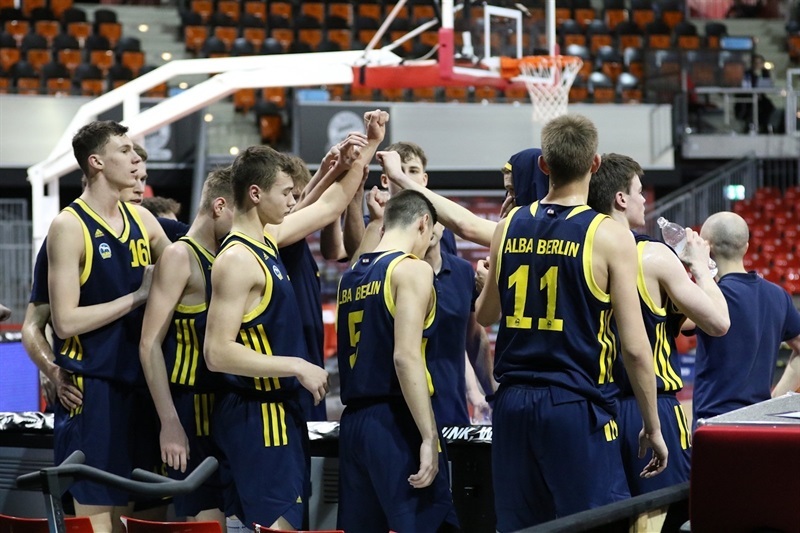 U18 ALBA Berlin stayed alive in the hunt for a spot in the final of the Euroleague Basketball ADIDAS NEXT GENERATION TOURNAMENT Munich with an 88-66 victory over U18 ratiopharm Ulm. 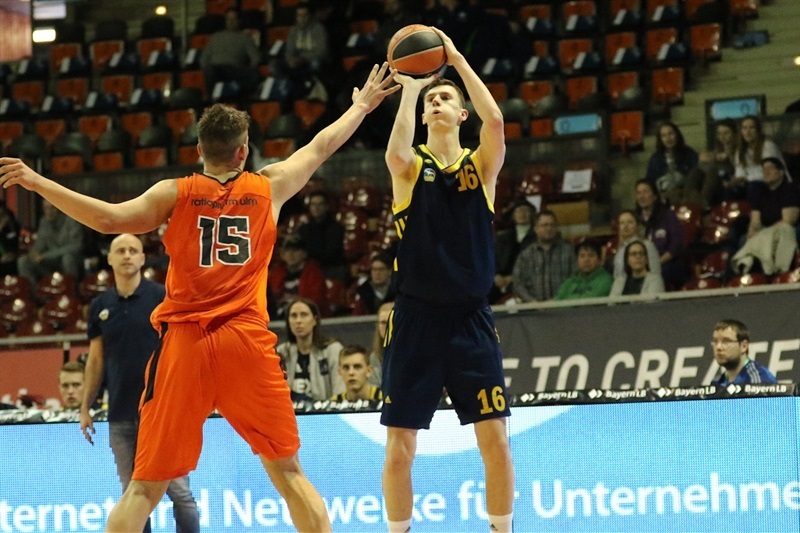 In an all-German battle, Franz Wagner nailed 6 three-pointers in scoring 24 points for ALBA, which improved to 1-1 in Group B. Hendrik Drescher picked up 16 points, 5 rebounds and 9 assists while Jonas Mattisseck added 13 points and 6 assists for ALBA. 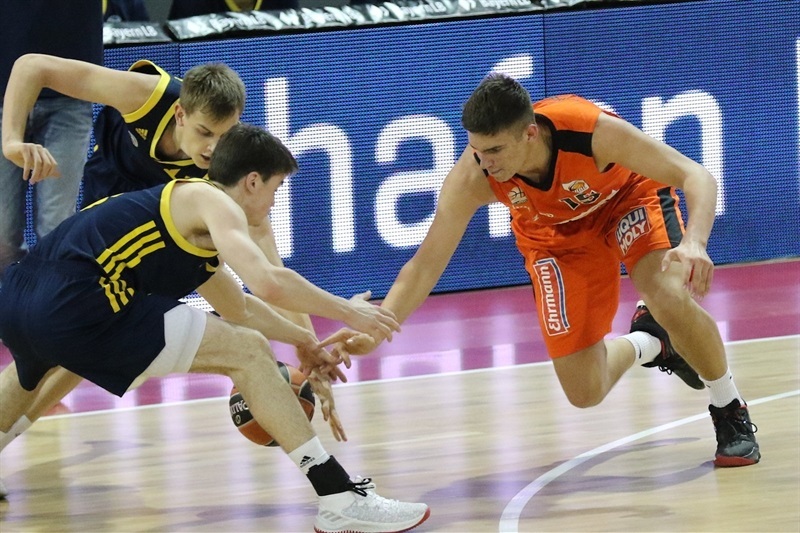 Ulm got 20 points from Timo Lanmueller and 13 points and 5 rebounds from Mate Fazekas, but the club dropped to 0-2 and is still looking for its first victory in its first ANGT appearance. Lanmueller scored 10 points and Fazekas nailed a three-pointer as Ulm jumped ahead 11-15. 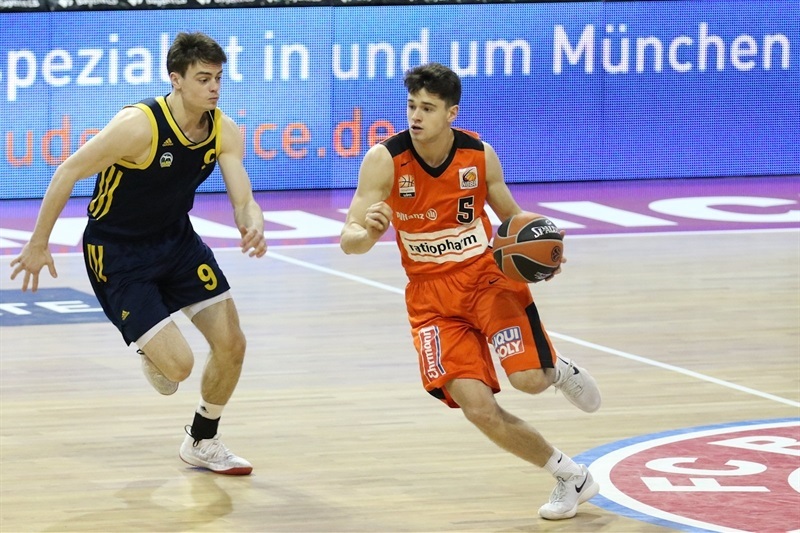 Drescher ran his total to 9 points in getting ALBA even at 18-18. Ulm was up 20-24 after 10 minutes. The game was tight in the second quarter with four ties and it was knotted at 36-36. 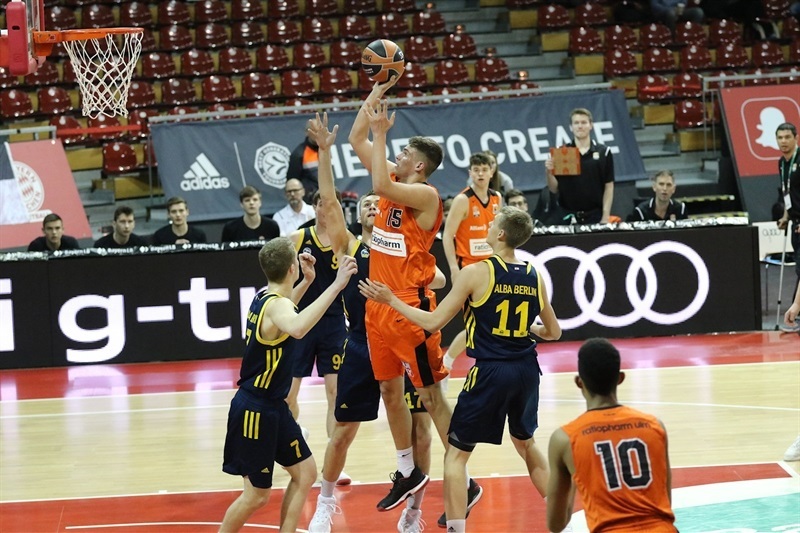 Then Malte Delow and Wagner knocked down three-pointers in the final minute of the first half and ALBA went into the locker room ahead 42-36. 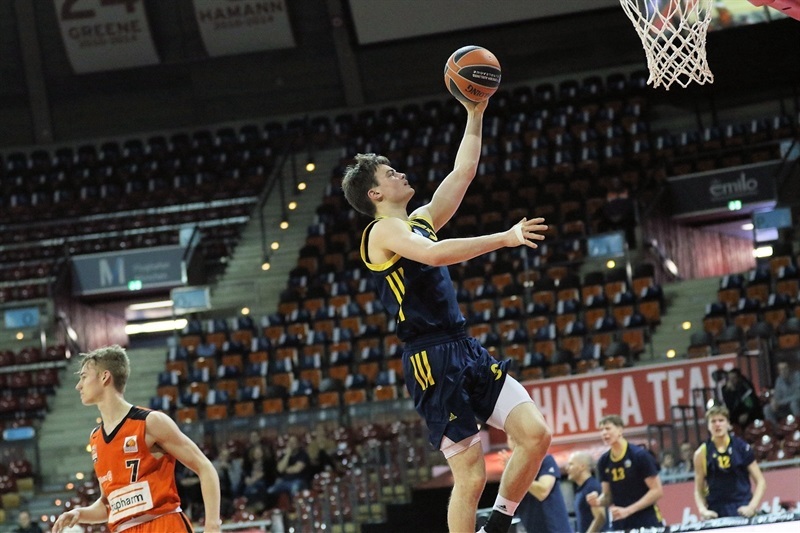 Lanmueller’s three-pointer early in the second half trimmed the deficit to 46-41 but Mattisseck and Wagner hit three-balls to bookend a 17-1 ALBA run for a 63-42 lead, which was 63-46 after 30 minutes. Ulm tried to get back into the game with three-balls from Jason George and Lanmueller but the deficit was still 72-56. And Abdulah Kameric added 6 points for ALBA in an 11-3 spurt to finish off Ulm for good.